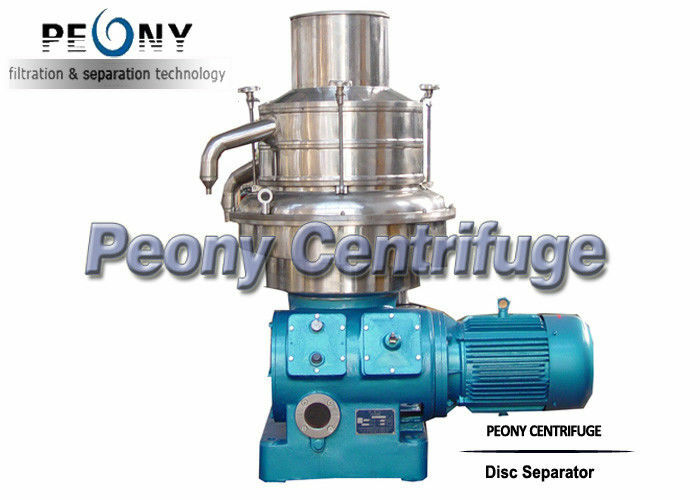 Model PDSF Separator is mainly suitable for separating and extracting oil of animal and vegetable oil, especially suitable for separating feedstock containing large proportion of heavy phase, for example, fish oil. 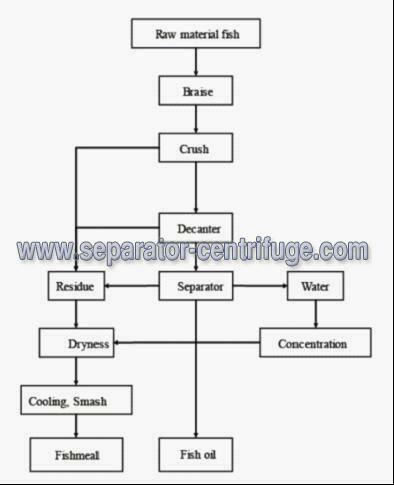 Heavy phase or light phase of higher pureness can be obtained after, separation, and solid particles can be removed from the min limit at discharge. 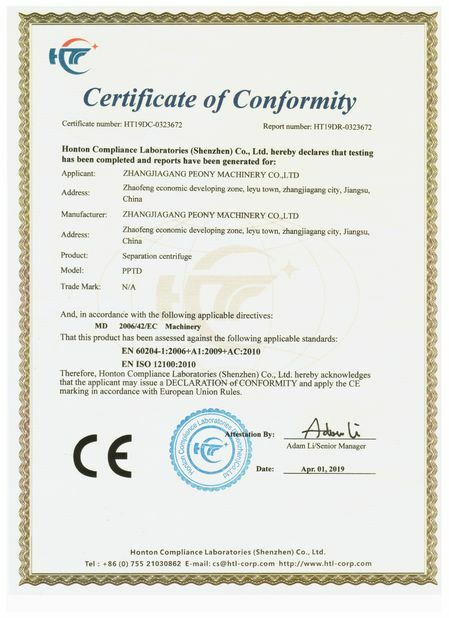 All the parts in contact with the feedstock are made of stainless steel which are in conformity with the food sanitation requirement. Commonly.during the fish oil extraction system,decanter centrifuge or the 3phase decanter centrifuge will be adopted together with disc separator to get more pure fish oil and more dry fishmeal.The equipment also is used to recovery the fish protein to get the effluent standard to protect the environment.After extraction of the fish protein water,the protein could be produced into the protein powder and add into the fishmeal to work as the foodstuff. 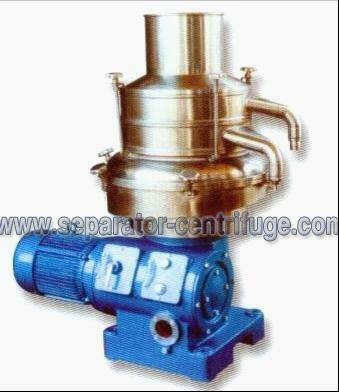 Material is feeding from the upper pipe and entering into the distributor till the disc plates, The light phase, heavy phase and impurities will obtain the different G force and form the layer under the strong centrifugal force, because of their different density, This machine adopts the partial discharging structure which will make less wastage, all parts contact are made in Stainless Steel which meet the requirements of the food sanitation..